Problem: This customer recently installed solar panels on his house but he was still using his oil fired boiler to heat his home. He invested a lot of money to install the solar panels but was still buying a ton of oil as well, not ideal. The customer is also recently retired and was tired of carrying window A/C units in and out of his house twice a year. 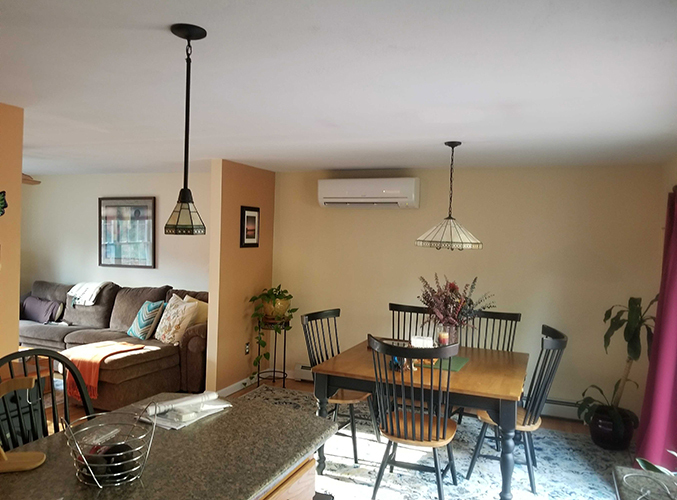 Solution: Installed a 3-zone Mitsubishi Hyper-Heat system to be used as the primary heat source for the entire house which also came with the added benefit of whole house air conditioning! 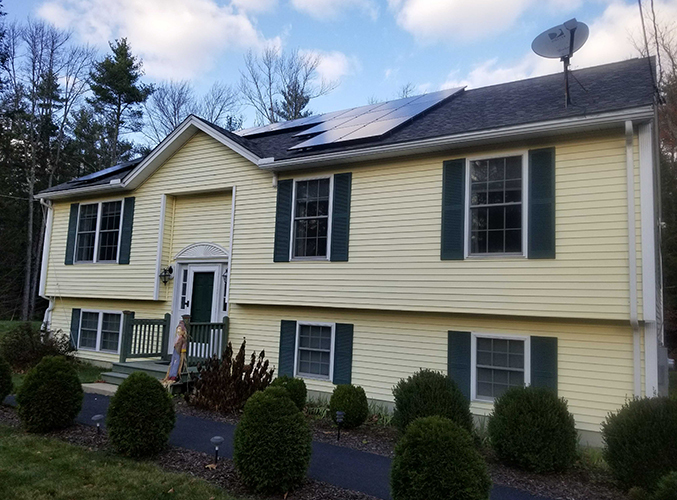 This situation is becoming more and more popular as solar is starting to grow in the Northeast. Once a customer has solar panels installed, they want to get everything in the house running off electricity since it’s now “free” for them. 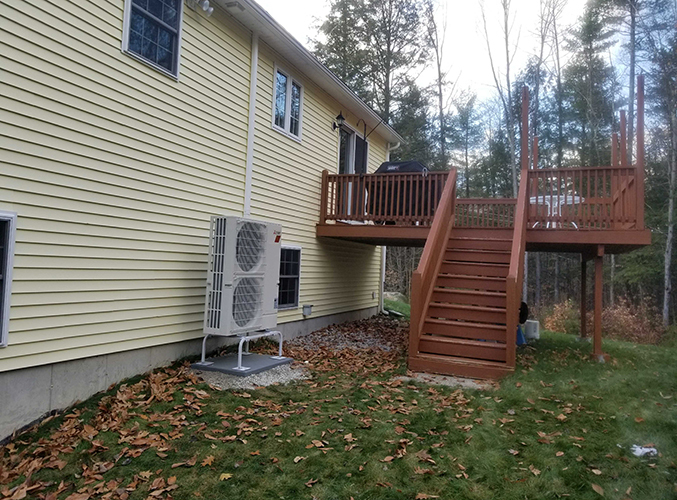 These Mitsubishi Hyper-Heat systems are a great solution since they’re powered by electricity which require no fossil fuel (oil / natural gas / propane) and are extremely efficient, too. Being able to heat your house with an efficient heating system and also gaining air conditioning for the entire home, all powered by “free” electricity, what’s not to love?